There is no rest for the weary. Zack Snyder has just released Batman v Superman: Dawn of Justice into the wild and he’s already on the verge of his next DC opus, Justice League: Part One. If you’re wondering what sort of movie Justice League will actually be, Snyder likens it to one of the most influential movies ever made. Justice League will be the Seven Samurai of superhero movies. Speaking with Yahoo, director Zack Snyder is clearly getting ready to begin shooting with all of the actors who make up the characters of the Justice League. However, the league has to start somewhere, and that’s why Snyder likens the next chapter of the DC universe to the classic film by Akira Kurosawa. I’m getting ready to start Justice League on the 11th of April, so in like two weeks we start shooting. And it’s an intense, awesome, and gigantic undertaking because Bruce [Wayne] is having to go out and sort of Seven Samurai the Justice League together, which is fun. One of the more interesting decisions that DC made when building their cinematic world was to take an approach completely opposite to that of Marvel. 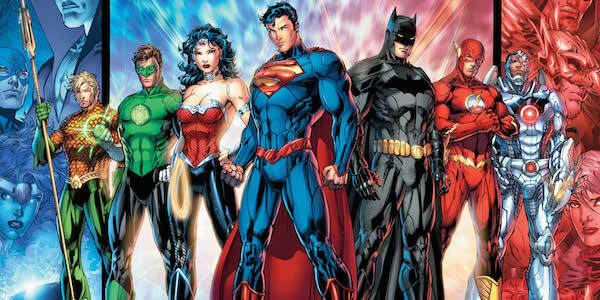 Rather than introducing each key character in their own movie first, several of the Justice League members will have their first major appearance in Justice League: Part One. You could argue that there was a bit of a Seven Samurai feel to The Avengers as well, but those aspects of the story took place in individual scenes, over a series of films. Here, the finding, and convincing of Aquaman, The Flash, and the rest of the heroes to join the larger team looks to be the focus of the movie. This may be the reason that Justice League has two parts. We may not even have a coherent team by the end of the film. Seven Samurai tells the story of a small village that has a problem with with a band of raiders. They hire one ronin in an attempt to stop the attacks, who in turn goes out and finds others who will help him defend the people. It’s become of the most influential movies in all of cinema, and was famously remade itself in America as a western called The Magnificent Seven. Here, it looks like Bruce Wayne will play the part of the wandering masterless samurai. As many fans flock to the theater this weekend to see Batman v Superman: Dawn of Justice the questions about the next chapter for these heroes will already begin to form. What do you think of the idea of superheroes as samurai? Sound off in the comment section below.